For information on joining the club or club membership just click on the appropriate tab below for full details. If you are interested in joining Shannonside Cycling Club and are looking for more information on how to get started in cycling then let us know through our Contact Page and we'll be happy to help. If you know your way around cycling and want to join Shannonside Cycling Club you can Contact Us for more information or just come along to one of our Club Spins. 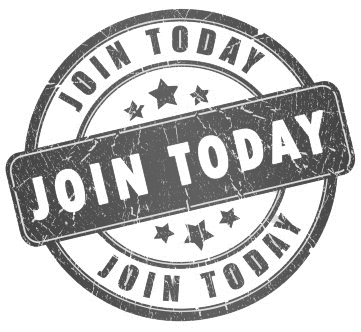 You can now become a member of Shannonside Cycling Club (SSCC) and Cycling Ireland (CI) in the one place on the CI membership portal. Membership provides you with personal accident and public liability insurance cover and is required for you to train with SSCC and participate in our events. Please note in order for your application to be valid and approved, you are required to join both SSCC and CI. It is not enough to simply pay the club fee. 1:Please click here to join Cycling Ireland. This will bring you to a page where you can register your basic membership profile details such as name, email address & password for your profile. 2: You will then be emailed with an activation link which is used to verify your email address is correct and activates your account. Click on this activation link and enter your password to log on. If this activation link doesn't arrive within an hour, check your spam folder. If it still hasn't arrived, get in touch with Cycling Ireland on info@cyclingireland.ie. 3: Once you are logged on, click on the member tile, where you will be invited to provide more details, such as your date of birth, your license type of choice and whether you want to join a club/join as an un-attached member. You can also use this page to apply for a student discount if eligible or an international license if you need one. 4: Click next and upload any attachments needed, such as Student ID or a photo for your international license. Finally, click submit. This will submit your application to Cycling Ireland. 5: Once you have submitted your application, Cycling Ireland will approve it, and your club will also approve it if you are joining a club. After the application has been approved, you will get an email back asking you to log in to pay for your license. You can pay by clicking on the orange checkout tile. 6: A temporary license card will be emailed to you, before your license card is sent to you in the post. Any questions email info@shannonsidecc.com and we will be happy to help. You can now renew your membership of Shannonside Cycling Club (SSCC) and Cycling Ireland (CI) in the one place on the CI membership portal. Membership provides you with personal accident and public liability insurance cover and is required for you to train with SSCC and participate in our events. Please note in order for your application to be valid and approved, you are required to join both SSCC and CI. It is not enough to simply pay the club fee. 1: Click the log in button in the top right hand corner of the website (www.cyclingireland.ie). This will take you to a new screen, which is the log in screen for the new membership portal. 3: This will take you to a page where you will need to enter your email address - this email address MUST be the one that you used for 2013 Cycling Ireland membership. 4: Once you press 'Request password' a temporary password and activation link will be sent to your email address. Click on this activation link and enter your temporary password. 5: You can then enter a password of your choice and submit this information. 6: Once you have done this, you will be able to log in using your email address and the password you created and renew your membership or join Cycling Ireland. You will be able to select your license type now. Have a look at the types of license availablehere. Please ensure that you press the submit button after you have agreed to the terms and conditions of membership. If submit isn't pressed, your application won't be submitted to CI. 7: Once you have submitted your application, it will go to be approved. Your membership will need to be approved before you can pay. If you are a new member (club and un-attached) or a renewing un-attached member, Cycling Ireland will approve your membership. If you are a renewing club member, or a new club member (once CI have approved your membership) the club will approve your membership. 8: Once you have been approved, you can log back into the system and go to the checkout, where you can pay for your membership. We ask that members do not submit duplicate profiles, as they will be rejected. This means that if you already have a profile with CI/have been a previous member, you need to log in instead of joining/creating a new profile. Thanks!